In the New York of yore, those afflicted with March Madness were quarantined well into April. These days, not only do virus carriers walk among us, but we celebrate the disease! Every year, for two short weeks, in the throes of the Madness, we all become experts on college basketball before resuming ignorance for the other 350 days of the year. During the NCAA Tournament, we furiously fill out brackets, babble about seed upsets, and swaddle ourselves in soothing team apparel. We even feign an interest in Gonzaga, though never cross the line of no return -- learning whether it’s in Washington state or DC. In the months between each annual Madness, we forget that there are people in New York who went to Gonzaga. And Villanova. And Xavier -- schools that most of us only engage with through the lens of sports. And most of these schools, however far-flung, have bars where their fans and alumni gather to cheer on their team. Look, I went to Minnesota. Go Goph’s and everything, but rooting for a lower-tier Big Ten school is demoralizing. And plenty of people went to smaller schools, or no schools at all, who watch the NCAA Tournament every year without a dog in the fight. 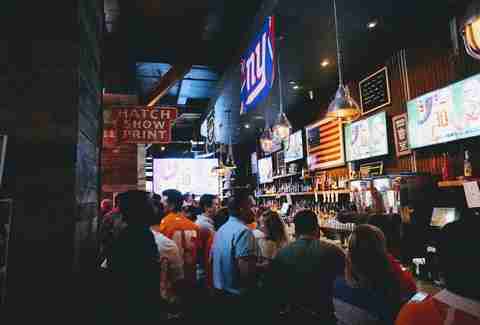 So if you’re a fan of a major college basketball powerhouse, or if you’re looking to adopt a team to root for during the tournament, here are the best places to watch the top-tier teams among true fans in NYC. 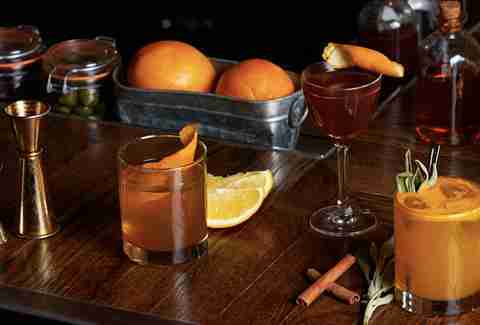 Given UVA’s rich Southern tradition, it makes sense that their sports fans would flock to straight-shooting American Whiskey. Located a mere halfcourt shot from Madison Square Garden, the 6,500-square-foot space has become the de facto Manhattan home turf for the Cavaliers. The restaurant/bar elevates standard pub food with fried Brussels sprouts, roasted bone marrow, and venison mini burgers. (It’s also located around the corner from NY Pizza Suprema, one of the best slice shops in the city.) American Whiskey doubles as a Georgia bar, but don’t expect to see the Dawgs in the NCAA Tournament this year. Although this isn’t the place for all you nostalgic Xavierians to get Skyline Chili, this Irish bar is a fitting place to watch ballers from one of the oldest Catholic schools in the country. Here, Musketeers fans can nosh on traditional fare like shepherd’s pie and fish & chips, or embrace the game with nachos smothered in cheese, guacamole, sour cream -- and house chili! 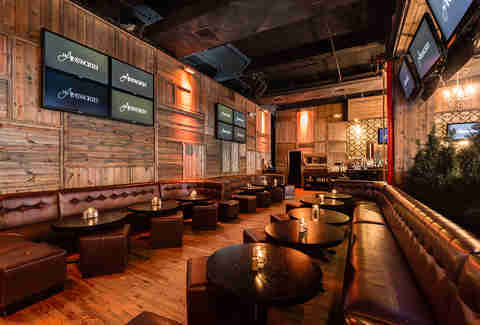 Tons of TVs enable viewing from every seat at the 100-foot bar, and the space is big enough for a Catholic rabbit. 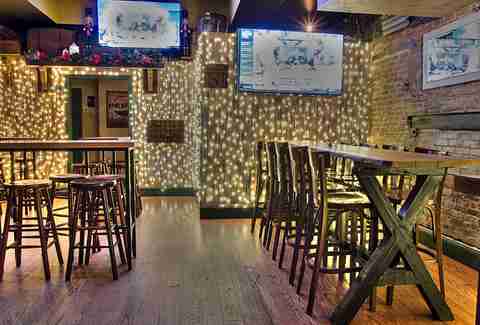 There are a number of NYC bars jockeying for ‘Nova watching dominance: The Brazen Fox, Tempest Bar, and our pick: Gramercy Ale House. 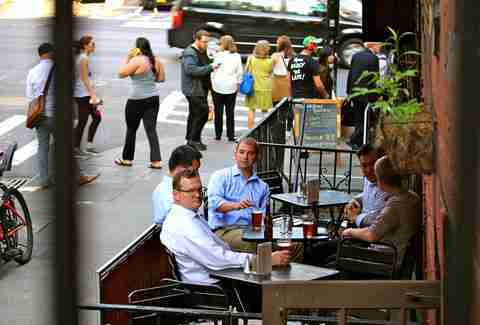 It’s a solid bar mercifully removed from Midtown and Madison Square Garden. 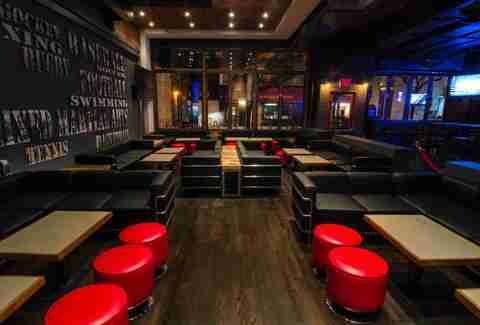 Plus, they have 10 kinds of fries and the conviction to hang team colors around the bar -- catnip to Wildcats. For all of their blustering, it’s odd for a passionate fan base like Duke’s to settle on a bar that plays host to so many disparate college sports fans, but maybe that’s the point: to flaunt their Dukeness in front of everybody else. We get it. In the aftermath of the mysterious and untimely closure of Mulholland’s in Williamsburg, Jayhawks fans have flocked to Cornerstone in Midtown East. Mulholland mourners can drown their sorrows in KU game-time specials that include $5 pints and “Jayhawk Shots” in between “Rock Chalk” chants. Now, Phebe’s isn’t explicitly a Bearcats bar. 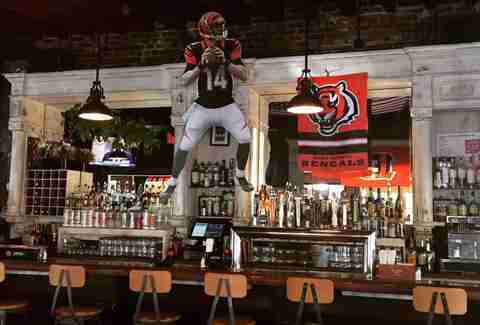 But it is an officially sanctioned Cincinnati Bengals bar, and as a result it has become the natural stomping ground for many Cincinnati alumni events. Featuring higher-end bar food and $0.25 wing specials, there’s really something for everybody. Unless you’re one of those people who really wants Skyline Chili, which again, you won’t find here. It’s probably for the best. 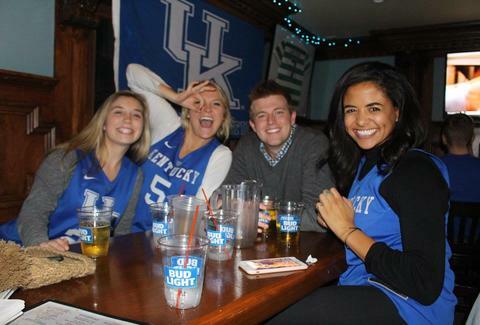 When Big Blue Nation made Jack Dempsey’s its home for athletics, the bar welcomed them with an honorific cocktail -- the Old Fashioned Wildcat -- and gave website real estate to the UK Alumni Association. So if you’re looking to bandwagon the ‘Cats or reassemble your Lexington crew, this is the place to do it. Demsey’s does all the expected apps -- plus some Emerald Isle favourites -- and features every beer and liquor you’d hope for in an Irish bar. They even have their own house ale for a little something different. This Alumni Association-sanctioned bar closes up any schism in the Buckeyes fandom, but it’s trying to be a lot of things. Located right off Times Square, it’s naturally touristy. It skews more toward gastropub than straight-up sports bar. And they have hookah and bottle service for some reason? Maybe it’s just crazy enough to work! Let us pause for a moment and marvel at how cool it is that we live in a city where even Alabama state schools can have its own team bar. Tigers fans of all stripes have made St. Pat’s near Rockefeller Center their home. The multi-level bar and grill features game-day staples, but what separates it from other Midtown sport spots is an outdoor patio space -- a perk as we ring in spring with March Madness. This Nashville concept spot doubled down on its geographical theme when it became home to Volunteers fans. True to form, Printers Alley pumps in country music while frying up regional cuisine like Nashville hot chicken, fried green tomatoes, hush puppies, and, of course, Tennessee whiskey. They may never exorcise the ghost of disappointment that hangs heavy in Professor Thom’s after favorite Michigan alum Tom Brady’s last Super Bowl loss, but it’s still the Wolverines’ preferred watch spot. For better or worse. They have wings, nachos, burgers, and beer, so at least you can eat your anxiety. Cross your fingers or wear your lucky socks to combat the Pats’ bad juju, and Go Blue. 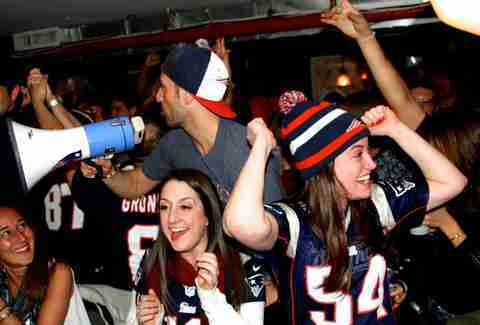 Slattery’s courts a long roster of sports fans. It’s a Miami Dolphins bar, a Kansas State bar, and a Creighton bar. And during the Madness, it’s the official NYC bar of the North Carolina Tar Heels. With a house lager, an outdoor seating area (with a TV! 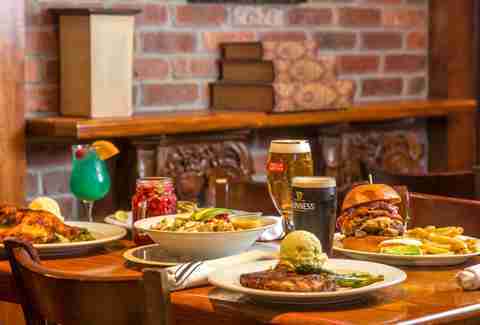 ), and a solid menu of both bar food Irish dishes, there’s plenty to nosh on as you talk about how Michael Jordan should be put on the $20 bill or whatever.